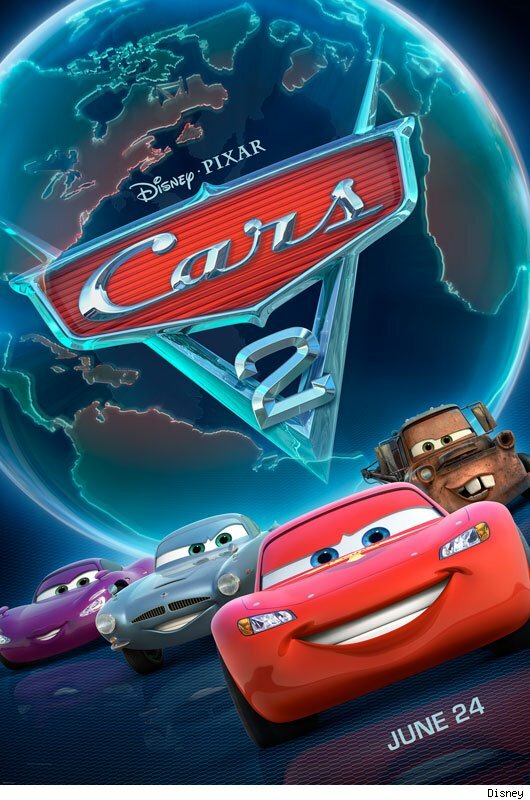 "Cars" was not my favorite Disney/Pixar production to say the least, in fact it is probably my least favorite. There is no doubt when I heard they would be making a sequel that I questioned their motivation. Why a sequel to your notably worst-reviewed film to date? Certainly it wasn't because of the return on how much the toys made the studios, Pixar isn't that cynical, are they? The partnership between Disney and Pixar has always been one of great artist's integrity, one that was always clearly about the story they were telling and not about the tickets they were selling. They were (and still are for the time being) living proof that authentic, original stories can succeed both critically and commercially in this day and age. And so, it is somewhat disappointing to see them take a step backwards rather than the leap forward they usually makes each year with their latest offering. Fin McMissile chases down the bad guys. Of course, this is a Disney/Pixar film so it is measured with pretty high expectations and standards that are no doubt higher than any other in the film industry, but it also means it isn't a complete waste of time and actually has many redeeming qualities. The main thing I recall about my experience with the first "Cars" was how lengthy it felt and how much it seemed to drag. 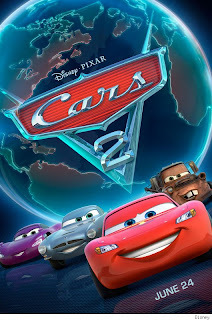 Though I didn't feel that same drag with "Cars 2" it is still a little longer than it has any right to be. At nearly two hours it is a wonder who John Lasseter thinks his main audience is. It is almost as if this spy caper has been made more directly for the parents in the audience rather than their children who can't get enough of Lightning McQueen and Tow Mater. It is also obvious this sequel is much more concerned with Mater, Larry the Cable Guy's cute creation that really is the most likeable aspect of these films. Still, the intricate plot will no doubt confuse the kiddies and have them zonking out before the exciting climax of the film due to that lengthy run time. 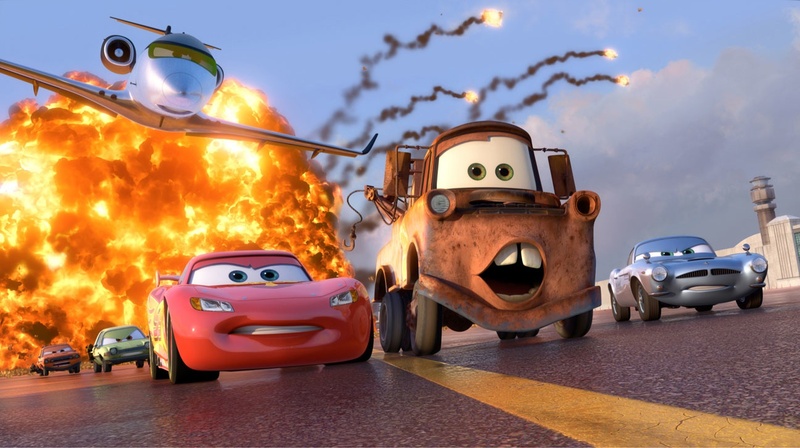 "Cars 2" is by no means a bad movie, but there isn't anything spectacular about it either. There is no few or even one single element that stands out about it, this movie just exists for what feels like no real reason at all. Lightning McQueen and Mater get out in the nick of time. Pixar does have the smarts to know if you're going to make a sequel that one should not simply rehash the original film and they do nothing of the sort here. Whereas the first "Cars" was a story about McQueen learning the real values of life and an interesting view of the history of Americana and the racing world, "Cars 2" also packs a few family-friendly lessons (stay true to who you are, never take friendships for granted) it also comes wrapped in the package of a James Bond film. Giving Mater center stage here wasn't a bad idea either, he is clearly the more outlandish of the two leads and to re-explore and evaluate McQueen again would feel redundant. Instead, Mater learns a lot about himself, why it is important to be the tow truck he wants to be, and even earns him a little secret agent girlfriend in the process. Emily Mortimer voices the sleek Holley Shiftwell and as her advisor Pixar enlisted Michael Caine to voice Fin McMissile, the agent in charge of solving the case Mater accidentally stumbles into and the classiest of all spy cars. Balancing this secret mission story line with that of Lightning McQueen's races in the World Grand Prix are nicely intertwined and resolved in a satisfying manner, not to mention John Turturro showing up as a rival car named Francesco Bernoulli and adding some spice to the wonderfully animated races provides some of the best laughs in the entire film. Mater finds himself a girlfriend in Holley Shiftwell. It is hard to argue that anyone could still touch the level of animation and storytelling that Pixar has achieved but with this ultimately unnecessary sequel it is as if Pixar has let their guard down and is almost welcoming a challenge. I would even dare to say that Dreamworls topped them in the battle of the animated sequel this year with "Kung Fu Panda 2". I surely enjoy that franchise more and the second part felt more like a continuation of the original story rather than just an excuse to parade these characters out again. I sincerely hope Lasseter decides to put his "Cars" franchise to rest after this and continues to push forward with new, original stories and breathtaking visuals rather than stalling and going backwards to what he feels is reliable. This has caused the first misstep in the elite group that is Disney and Pixar. I hope it is also the last, but if you're going to make a sequel to one of your other classics at least make it "The Incredibles" there at least feels like some purpose behind that and for the love of God, please, no "Toy Story 4".